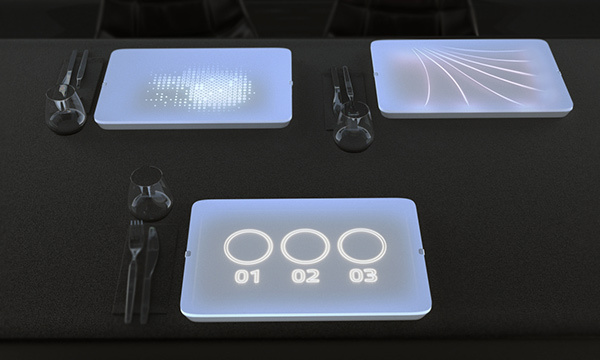 Overview: The everyday dinner plate becomes an interactive gadget in this entirely new dining experience called Light Dish. 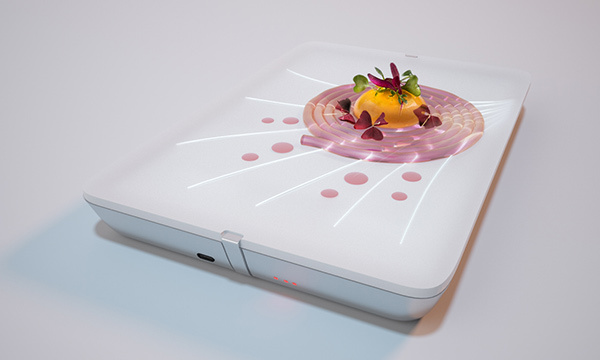 Originally, the dish was designed with a focus on molecular gastronomy, where food meets art and science. 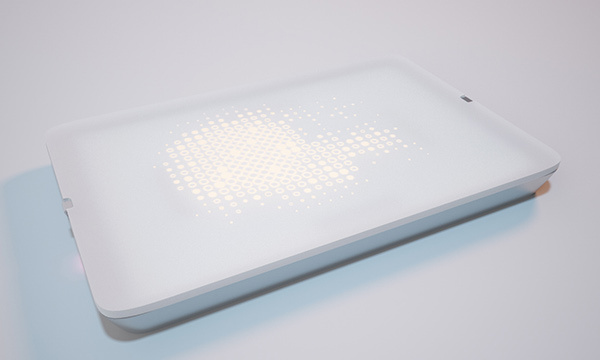 The Light Dish highlights food in a new, unexpected way, created a soft and diffused light. The top, made from solid Corian, hides a LED panel and battery for a seamless, smooth look whether on or off.